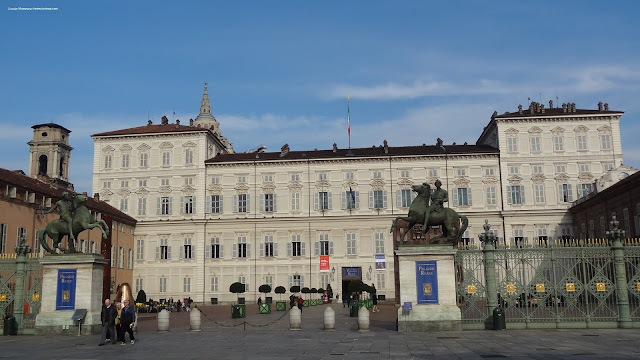 Thanks to its long tradition of capital of the Savoy kingdom, Turin hosts many royal palaces located downtown, on the river, on the hills and in the suburb. Today we'll tell you about the Piazza Castello or Castle square royal palaces: Palazzo Reale, the king's residence, and Palazzo Madama, the queen's residence. Even though Palazzo Reale - the Royal Palace, doesn’t have the usual castle look with the dungeons and the moat, it was indeed the first royal residence in Piedmont and the political center for about 300 years. Duke Emmanuel Philibert I of Savoy chose it as its residence when he made Turin capital of the Savoy kingdom. Up to that moment, this building had been the bishop residence, so the duke hired an architect to redesign it to properly host him and his court. 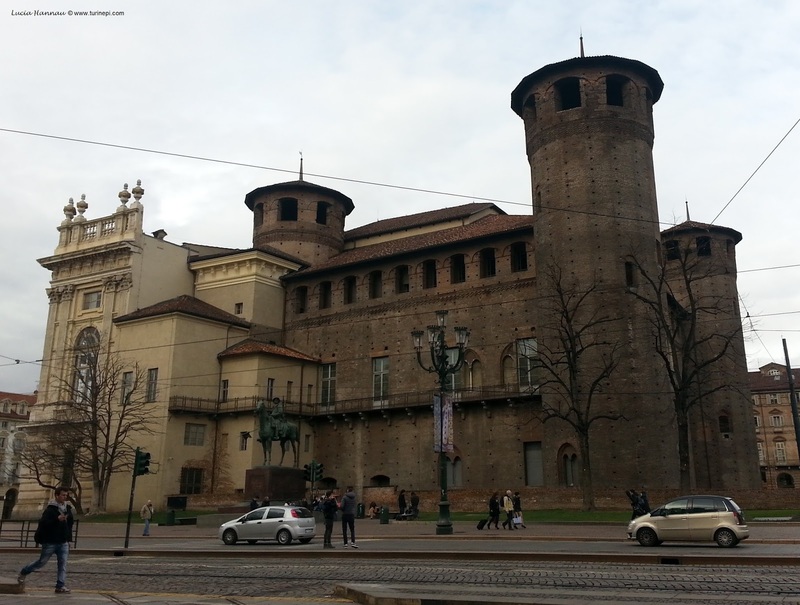 As the royal palace was being renovated, he lived in the nearby Palazzo Madama. Back between 1500 and 1600, many artists were hired to decorate the royal palace façade we see today, with the masks of the Savoy dynasty. 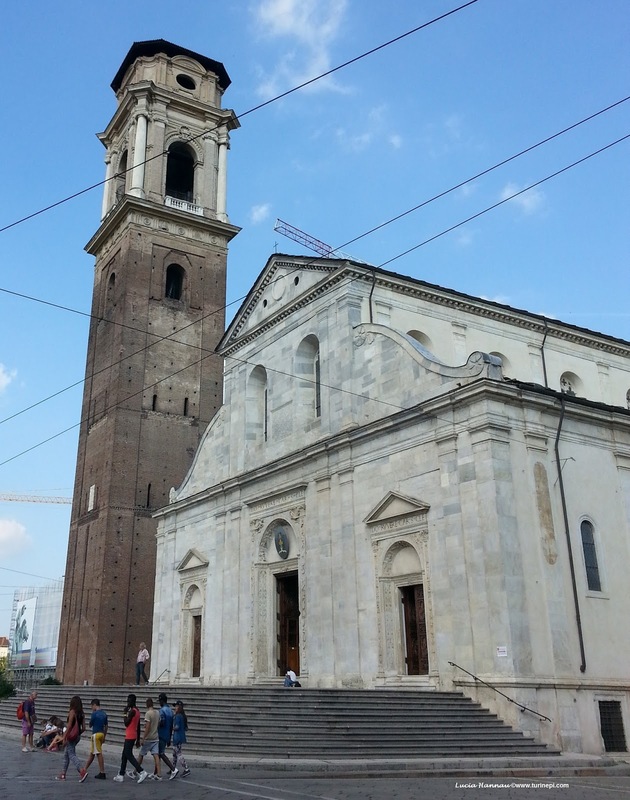 Over the centuries different famous architects designed and redesigned the royal palace, the piazza and even the nearby Duomo, where the Holy Shroud is preserved. 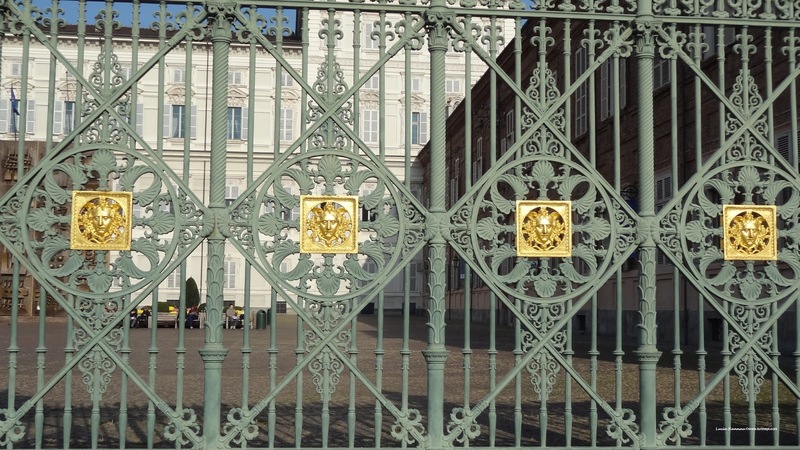 The Royal gates were realized in the 19th century to separate the small royal piazza from what it’s now Piazza Castello. After 1861, when the capital of the United Kingdom of Italy was moved to Rome, this Palace became a museum. Inside the Royal Palace there is an awesome café: caffé reale. 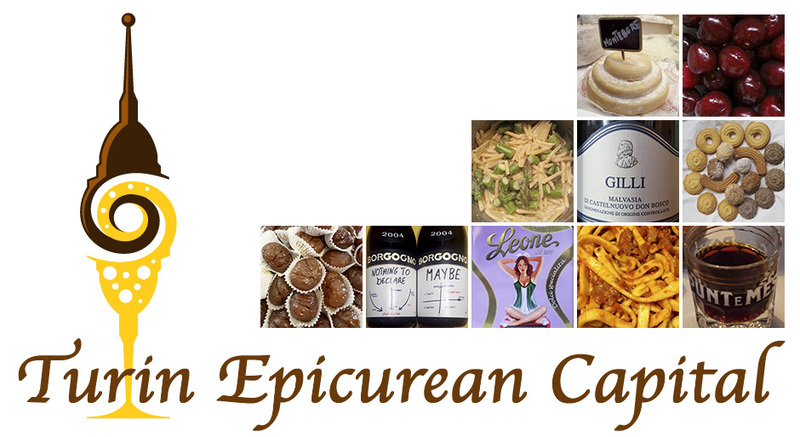 This is a great stop after visiting Palazzo Reale or after visiting the Porta Palazzo market and the Roman ruins. This royal coffee shop is hosted where the royal silverware used to be kept back in 1700s and many items are still displayed today along the walls of the café thus enhancing your royal experience! Caffé Reale double check online for the hours, located inside the palace! Right in front of the royal place there is Palazzo Madama or the Queen’s Palace. This is the perfect example of how different architectural styles and historical periods stratified in a single building, where they are still visible. In fact, you can see the medieval part with the dungeons looking on Via Po, the baroque and neoclassical side looking on to Via Garibaldi and part of the central Via Roma. The "Madama" of the name reminds of the Queen who lived in this Palace, and actually two queens got to call it their home. The two back towers were originally built on the remains of the ancient Roman settlement gate that closed the city. In 1637, Christine Marie of France, wife of Duke Charles Emmanuel II of Savoy, chose it as her personal residence, leaving the royal palace to her husband the king. The Palace gained its name 60 years later, when Marie Jeanne of Savoy also chose it as her personal residence and she also requested Filippo Juvarra, the royal architect, to redesign it in Baroque style, with white stone. Unfortunately, the works stalled and only one side of the Palace façade was completed. 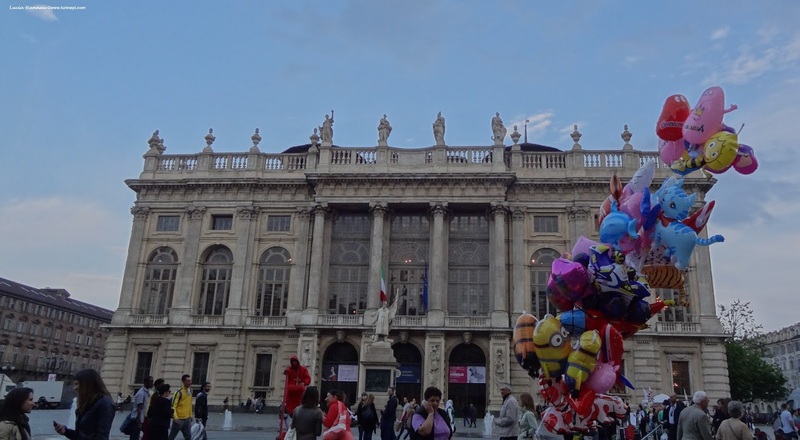 After 1721 this Palace was used for many purposes: royal art gallery, senate and high court and since 1934, it’s been the Museo delle Antichita’ or Ancient Art Museum, museum link. Inside Palazzo Madama there is another impressive coffee shop with a very good wi-fi and an amazing view on to Palazzo Reale. 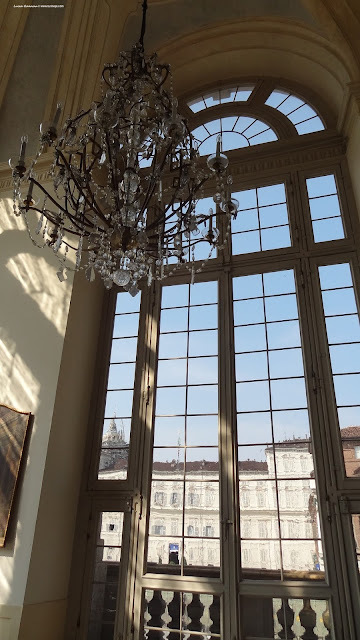 The museum and all the temporary exhibits hosted at Palazzo Madama are definitely always top but the café window and chandeliers will really amaze you! 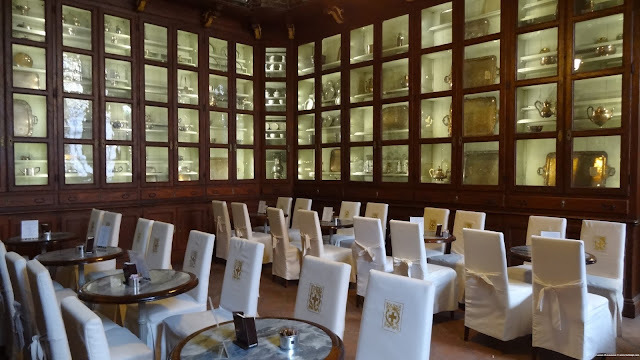 Both the royal café and the Palazzo Madama coffee shop are good, however, the first one is open to the public and is accessible from the courtyard of the Royal Palace, while the second one is accessible only to the museum visitors. 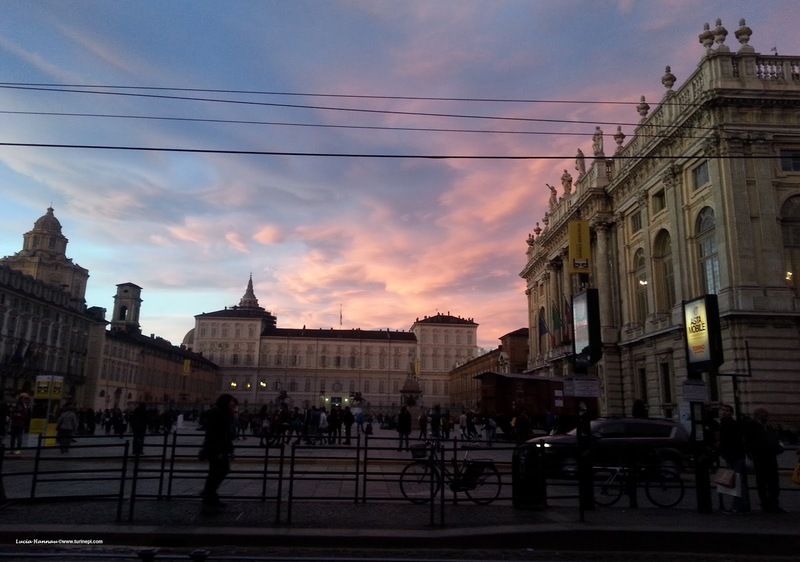 Also Palazzo Madama has a top terrace with a breathtaking view over Turin! No matter the season you make it over here, you just can't miss these two castles and savor our vida royal!